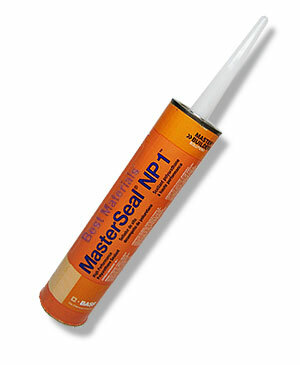 PRODUCT: MasterSeal NP1 (formerly Sonolastic NP1) One-Part Polyurethane Caulking Sealant, STONE COLOR, 10.1 oz / 300mL Tube. Price/Tube. DESCRIPTION: MasterSeal NP 1 Polyurethane Sealant is a one-component high-performance gun-grade moisture-curing polyurethane sealant designed for a wide range of sealing and caulking applications in active exterior joints. NP-1™ requires no mixing and typically bonds to many materials without a primer, including concrete and masonry. NP1 dries with a smooth finish and is paintable. Caulk Warmer Bag Plastic Saver-Sleeves. 25/Pack. Price/Pack.